Well built Blissfield ranch home on quiet street. Freshly painted interior, open concept to dining area and kitchen. Super clean and move in ready. 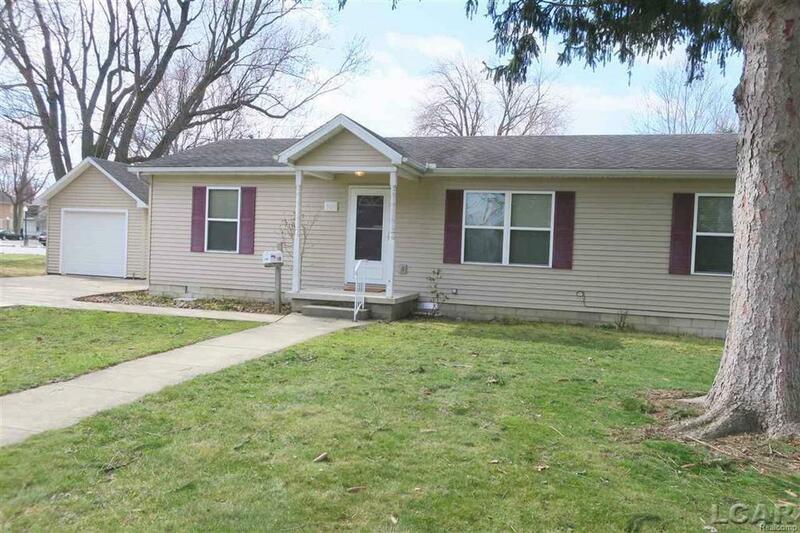 Easy to maintain vinyl siding, cement driveway and one car detached garage. The kitchen stove and refrigerator are not included in this sale. All room sizes are approximate. This information has been secured from sources we believe to be reliable, but we make no representations or warranties, expressed or implied, as to the accuracy of the information. Buyer must verify he information and bear all risk for inaccuracies. IDX provided courtesy of Realcomp II Ltd., via Binns Realty Inc. and Lenawee County AOR MLS, ©2019 Realcomp II Ltd. Shareholders.